Let’s Interview; Zelda Conversion Project Developer Ainz! Recently, a new mod for the Legend of Zelda Breath of the Wild start blowing up online. This mod made Zelda the main protagonist of the game and was designed to go further than most in changing everything from the text to the costume models to fit the new narrative. In other words, it’s an impressive piece of work all round, and one that’s arguably the most technically advanced mod of its kind available for the game. And just like many other interesting (or technically advanced) mod projects, this in turn has led to tons of media coverage. From Kotaku to IGN to My Nintendo News, dozens of publications have written stories or made videos about the Zelda Conversion Project, with the number growing by the day. But media coverage doesn’t automatically translate to accurate media coverage, and in this case, that’s meant tons of misleading stories about the project. From comments about how the game ‘shouldn’t exist’ to implications that text replacement is an easy process and assumptions that the mod is a protest about gender roles, almost every piece about the game made one or more mistakes in their quest to get out a story as quickly as possible. And so to fix this, we’ve decided to go back to the source. Yep, today on Gaming Reinvented, we’ve got an exclusive interview with Ainz, one of the mod’s developers and coordinator of the Breath of the Wild modding Discord as a whole. So, if you want to learn the real story behind the project (as well as what other plans the team has for the Zelda Conversion Project in general), sit down, relax and get reading! Starting with a bit of personal background for the project’s coordinator. Who are you? I am Ainz, sometimes known as CEObrainz. I’m the server owner for the Zelda Modding Hub and the coordinator for the Zelda Conversion Project. And how did you first become interested in video games? My first game was Ocarina of Time on the N64, ever since then I’ve been a big Nintendo and Zelda fan. What about the Legend of Zelda series? Which game was your first one in that franchise? 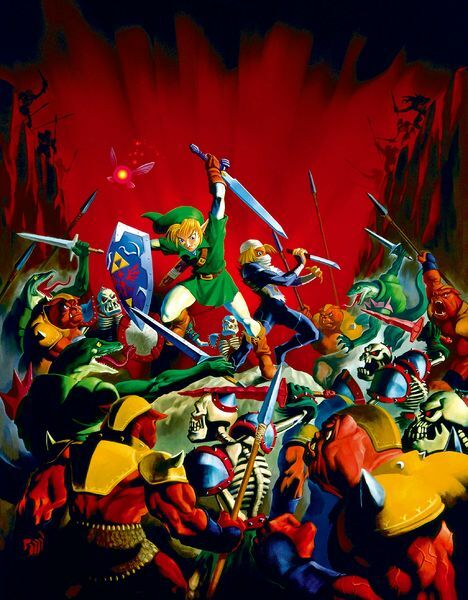 Like I said before, Ocarina of Time was the first game I’ve ever played, which introduced a brand-new world to me that I found visually and thematically stimulating to my tastes. 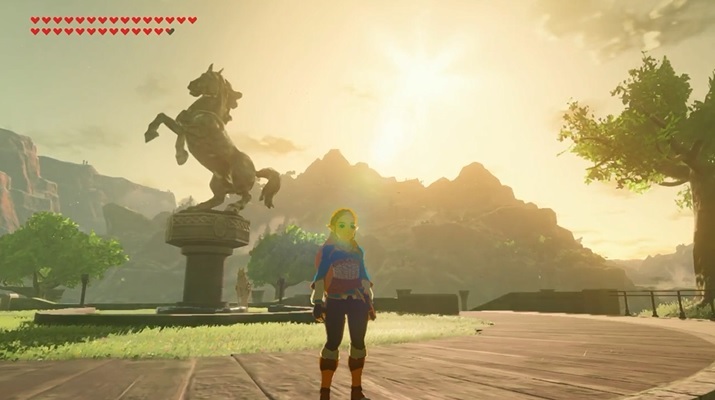 Either way, it’s clear Breath of the Wild is one of your favourite titles in the series, otherwise you wouldn’t be modding it. So, what are your thoughts on the game in general? Honestly it may shock you, but Breath of the Wild is my least favourite 3D game in the series. That isn’t to say it’s a bad game, I’ve certainly enjoyed my time completing it, including both DLCs but it lacks many of the features and ideas that I would have hoped to see on a game of this scale. Which is why when comparing it to the older games, they achieve more (for their time) than this game does, despite its achievements. Why did you decide to get into mods for the game anyway? The open-air nature of the game gave me the impression that it’d be a game that’s easier to mod than past Zelda titles and having seen such projects of the past I was pleasantly surprised when I found the relatively new modding community at the time. And what was the reasoning behind creating the playable Zelda mod for this title? After seeing the work that WilinZilv and Skriller did with the initial Zelda model I wanted to help in any way I could and as such build a team to make this possible. However, the reason why we’re able to back such a project is fairly simple, we just like the character Zelda and want to see her playable. Impressively, the mod goes a lot further than most ones for the game released so far, with new text content, models for various outfits and changes to the story and gameplay being considered. What made you decide to go this far with the changes? We simply want everything to mesh together, so that the idea of Zelda being the main character won’t feel out of place. However, we don’t want to change the core game, so many of the changes we’re implementing will be optional for those installing the mod pack. Going on from that, what challenges have you encountered modding Breath of the Wild like this? What aspects of the game have proven hardest to change and why? I’ve mentioned this before, but our biggest limitation is the lack of tools. Modding for this game is still relatively new and the tools needed are not the same as older Wii U games (the game uses an updated framework that the Nintendo Switch uses). Once we know how something is done we simply do it, of course ensuring that we have the right people to do so is an entirely different matter. Are there any aspects you’re reconsidering because the technology to edit them isn’t quite there yet? I’d love to give Zelda the ability to use magic, to integrate some of the rune abilities and elemental weapons into her basic arsenal that upgrades over time, however that’s something that’s far into the future and as such not within the scope of this project. If the technology was there, some of our ideas in regards to weapon integration may have changed. Onto the actual changes in the game now though. How are you and the rest of the team coming up with the designs for Zelda’s different outfits here? What’s the thought process behind them? Amiibolad is our concept artist, we as a community come up with ideas, he draws them and we tweak them if necessary. So far, it’s been a relatively smooth process with small hiccups every now and then but it has resulted in some really nice designs being made. How about the new story/text content? How is the story coming together? As we speak we’re making progress on replacing cutscenes to allow the story we have in mind to work. However, it’s important to note that we don’t plan on changing the main story just tweaking it so that it makes sense from Zelda’s perspective. I’ve also heard new voice acting and cutscenes are planned too. How are you aiming to create that stuff? That’s a stretch goal for us to be honest. It’s something that won’t be available with the first release of the mod and will come later on, but we believe that the finished product will really enhance the mod. As such we can’t really discuss the methods we’ll be using at the moment. There’s also a mod to make Linkle a playable character in development on the Discord too, and that seems to be progressing nicely as well. Are there any other plans for character replacement mods in the same style? Personally, the Zelda project is the only character replacement mod that I’ll be working on, but I’m certain that as the tools develop more mods of this type will happen. Still, while the character mods are fantastic, they’re not the only ones you’re working on. 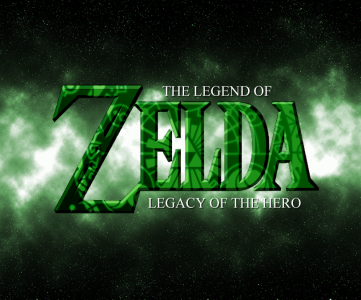 For instance, Legacy of the Hero aims to be a full Majora’s Mask sequel based on the Breath of the Wild engine. What was the reasoning behind that project? Upon joining this community, I saw a project that aimed to add assets from the Child Timeline (recreated of course) to BotW. After learning more about it I heard that there were plans to add a dungeon and turn it into a game of sorts, so I offered my services in writing the story for it and since then it’s been developing as smoothly as it can with the current tools available. Yeah, as I’ve been saying the tools are not quite ready yet and the scope of the project is quite large so I’ve come up with a method to allow us to complete it without being overwhelmed by the things we need to do. Our first step is simply to replace assets and add new ones, this includes character models, weapons, armours, enemies without going into the animation, AI or anything more advanced than that. Once we’re satisfied with our ability to match the correct style, we’ll look at implementing things on a larger scale that include the aforementioned ai/animations, dungeons, effects (types of explosions, abilities, etc) and other things that are somewhat more complicated. By then the tools necessary for shaping the overworld and editing shrines will be complete which will allow us to properly start developing quests and learning how to build dungeons that can satisfy us. Once we’ve reached the appropriate level we’ll finally start tying it all together with the story I’ve written. This plan also accounts for new members that join the team and changes to our workload so that it’s easier on us all. Tool development has been progressing quite well as of late, we’ve been seeing some rather interesting developments from those that are delving into the file system and as such it’s hard to say how soon some of these tools will release. Do you feel this could lead to new, more advanced mods in the future? 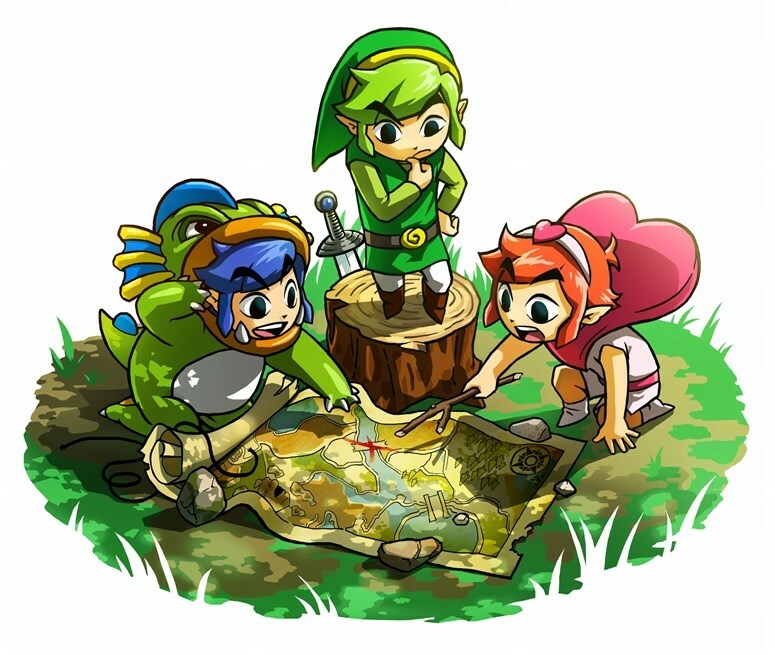 Like say, equivalents to the URA Zelda Restoration Project, Project Beta Triforce or Link’s Awakening 64? Yes, our server already has plans for quite a few ambitious projects and I have my own one that’s been idling for a year or two now that would be perfect for the foundation and type of gameplay that BotW presents. Either way, it seems your mods have brought a lot of attention to Breath of the Wild modding in general. How does it feel to see the Discord server become so active now? Activity often brings new talent, and as such I’m always looking forward to seeing new people. Without releasing guides, mods and past news articles some of the modders in the Zelda Conversion Project wouldn’t be with us. What about seeing your work discussed on so many gaming news sites like Kotaku and IGN? It’s nice to be noticed, however we don’t want to give people the wrong impression either. With such projects many topics come into consideration such as piracy, gender roles in video games and other topics that we can debate for hours. Personally, I just want to make something entertaining and that’s it, if the media can understand that then I’m happy. Do you feel this coverage may get more people into the BoTW modding field? Yes, we’re seeing it happen as we speak and it’s great to know that more interesting content may be created in the future. Finally, what advice would you give anyone who wanted to make their own Breath of the Wild mod now? Join our server, read our guides and if you still need help simply ask. We want to make Zelda mods as much as you do and nobody will turn away creative and talented individuals. And that’s really some good advice for anyone interested in getting into mod development for this game. Yes, Breath of the Wild doesn’t yet have the tools available that say, Ocarina of Time or Link to the Past may have. Yes, full game replacement mods aren’t a thing just yet, and the scene is unlikely to overtake the likes of Super Mario World or Super Mario 64 anytime soon as far as sheer quantity of resources are concerned. But it’s still growing rapidly all the time, and the possibilities are getting better by the day. We’ve gone from mere skin swaps to text, weapon and cutscene editing, with things like shrine and overworld creation being planned for the future. So, consider whether you’re interested in making your own mod, and join the community. There’s no better time for that than the present, and your mod could too become as popular as the Zelda Conversion one or the others discussed on the Discord. As for the rest of us, well we hope you enjoyed the interview and we hope to be back with another one very soon in the future.